Move your stack chairs faster and more efficient by being able to transport several chairs at once. Chairs are loaded at an angle to maximize stacking ability and make a better use of space. 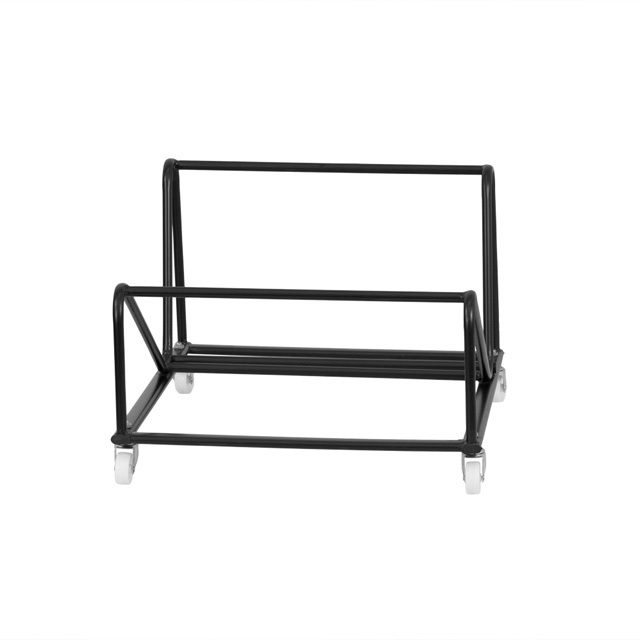 The black powder coated steel frame will hold up to rigorous everyday use.